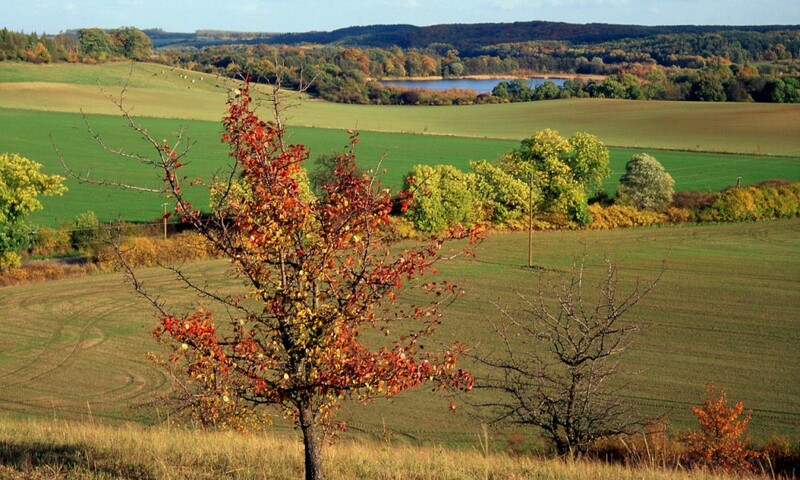 Several different micro-habitats can be found in structurally rich agricultural landscapes. Fields often contain hedges, rows of trees or fruit orchards. Originally, these were created as boundaries of areas that had different uses, often maintained over the centuries. Less conspicuous but of equally high importance are so-called ecotones. These are habitats along fields, paths or forest edges. In these areas, which are excluded from cultivation, vegetation can develop more naturally and thus becomes the habitat of many animal species. 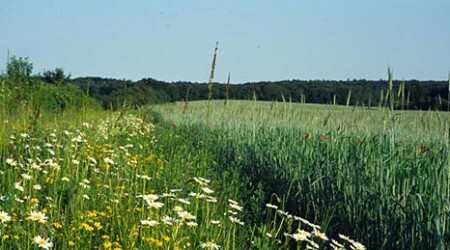 As residential and nesting places that provide an escape from machines and prey, ecotones connect habitats in the agricultural landscape. Their flowers and seeds are an important food source for animals and are meaningful habitats for wild herbs. In conventional agriculture, ecotones in particular suffer from the use of pesticides. Agricultural rationalisation causes unused subareas to increasingly disappear from the landscape. We want to use specific measures to preserve overused ecotones and establish new ones. The ecotones are intended to combine different micro-habitats with each other and help increase the biodiversity on our land. After tillage, we therefore sow meadow herbs on selected boundary areas of our farm’s fields. We preserve the fields by mowing them in spring once a year. These flower strips, with a width of up to ten meters, are important sources of food and retreat areas for butterflies, grasshoppers or hedge birds, such as the Red-backed Shrike that hunts for prey in tall grass. The older the ecotones are, the more valuable they are as a habitat. We therefore want to integrate this measure into our cultivation on a permanent basis.